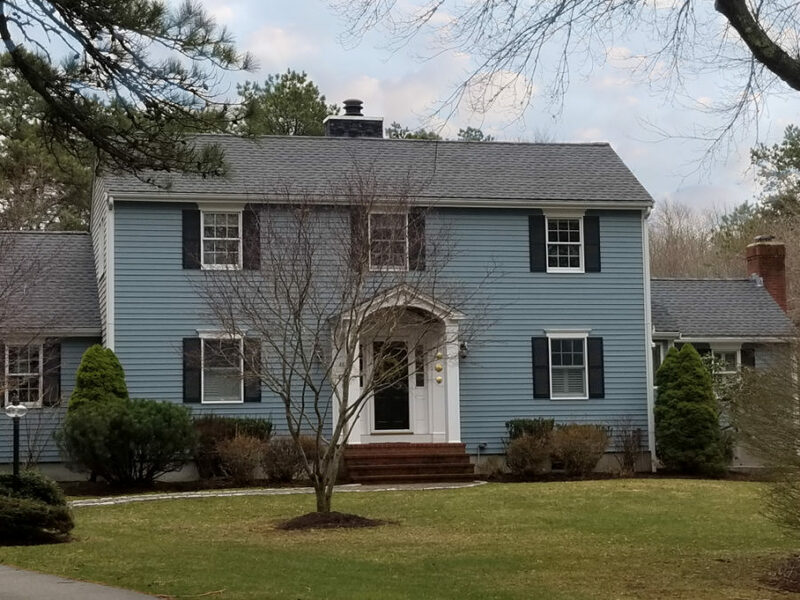 GAF Roofing looks beautiful on this Marion, MA colonial style home! 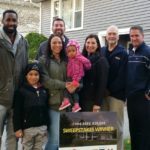 With over a half dozen Care Free Homes customers on this particular Marion street, folks in the neighborhood often call our company when the time comes for home improvements. Past customers and customer referrals are responsible for 60% of our business! Our customers often call to hire us again or, as in this case, we were recommended by two neighbors. The homeowner chose a GAF Timberline HD Roofing System in the color, Pewter Gray. This high quality architectural roof shingle is ready for the next Nor’Easter, Hurricane, or Blizzard with a wind rating up to 130 mph. These customers will enjoy a factory-registered 50 Year Non-Prorated roof warranty which provides both peace of mind and additional value to their home. GAF Timberline HD shingles come in a beautiful collection of color blends. 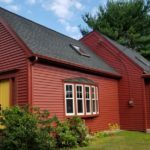 Homeowners can choose from shades of gray and brown as well as bold colors like this Hunter Green roof in Fairhaven, MA or this Patriot Red roof in Swansea, MA! See which shingle colors and style you like best with GAF’s Virtual Home Remodeler! Simply click or tap your finger to swap out shingle styles and colors on photos of various home styles. 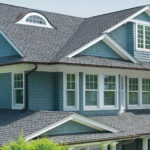 Trust your home to a professional roofing contractor. We are the only GAF MasterElite Contractor who is a Consumer Protection Excellence Award Winner here in the SouthCoast! Explore our extensive list of awards and industry credentials and get started on your next home improvement project! Get a FREE quote by calling (508) 997-1111, shoot us a text, or submit your information via our online form. Make your house a Care Free home!